2013 has been a huge year for skateboarding. From huge team changes to big names taking on the skate market, there has been more drama than ever. 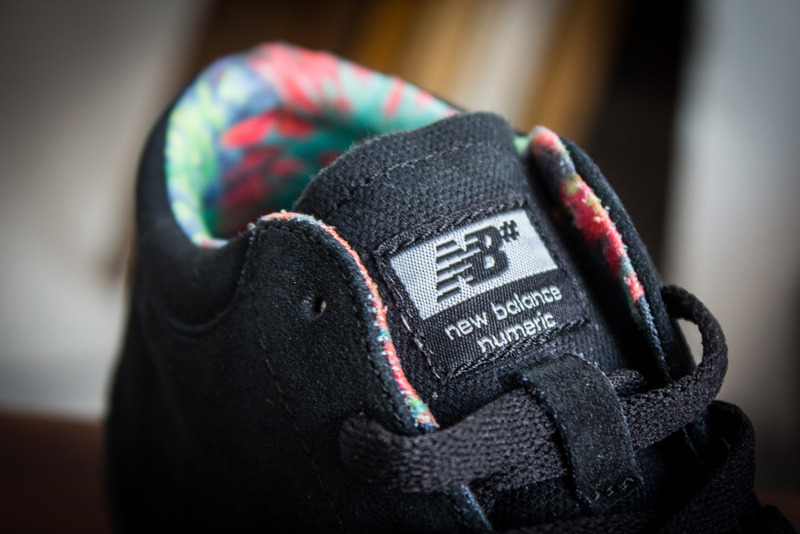 And now, we’re seeing New Balance try and pry a space into the market. We turned up at the premiere and were immediately blown away by the presentation; with a solid Video and photo campaign, you’re going to want to keep your eyes peeled for some premium skate media. New Balance Numeric have put a huge amount of attention to detail into their shoes, with small touches that really make the shoe, from the asymmetric stitching on the toe caps to the basketball inspired sole details on the Stratford 479. New Balance Numeric are offering a range of skate shoes varying from the very fashionable Brighton 344 shoe to the running inspired tech shoe the Logan 637. With a well-rounded range they definitely will have a shoe to your liking, and man are you going to like them. With probably the highest quality build I’ve ever seen in a skate shoe, the Logan 637 kills it. Featuring TPU bonded PU and Full-Grain Leather, this shoe is going to be really durable yet is really flexible and offers great board feel. Also by implementing the use of REVlite foam they managed to cut the weight without sacrificing underfoot cushioning and stability. On the polar end of the scale we have the Brighton 344. A low profile vulc silhouette with great skateability. A simple shoe with a great shape, offering unparalleled board feel and flick. For all you die hard Janoski fans, this is the shoe for you. Overall we were super impressed with everything New Balance Numeric had to offer, great riders, great image and even better shoes. Some beefy security outside, fighting of the little groms trying to get in! My Favorite Colorway, looks so good. The Brighton High 354 was a really nice take on the traditional mid-top. Absolutely love the cuff details. A throwback to some back from the 90’s. The Logan 637, crazy light. The full grain leather was beautiful. Lovely attention to detail with great build quality. Clever tread pattern reduces weight and protects against landing primo. Some of the Arto prints around the place. With a small range of clothing being released, all designed to match the shoes you’re going to be able to put together some great get ups. Want a FREE Skatepark Voucher to use at ATBShop? A perfect excuse for a PARTY this August! Last Skate Only of the season! Urban Rider Games - Pro Scooter is finished! Super high level of riding again, well done to all. Urban Rider Games Intermediate Scooter kicked off and was super tight to call! Keep up the good work guys, pro scooter is about to kick off! Urban Rider Games Novice Scooter Results are done! Well done guys! More results coming soon, stay tuned or come and see for yourself!